Hey, time for a smog check! Where else to go but Lincoln Blvd? 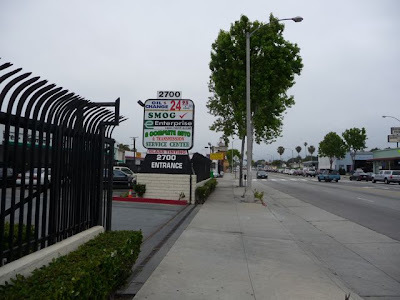 Earlier this year I had some time to kill in Santa Monica while my car was getting a smog check. 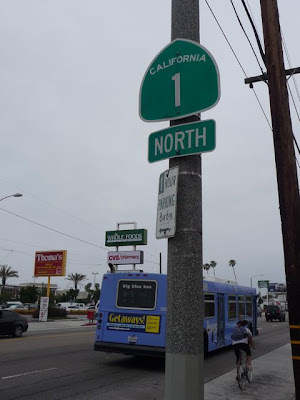 Figured I could take an hour to walk up and down a mile or so of Lincoln Blvd. Across the street a block or so down was something called "Lincoln Pipe." Looked like a small converted garage. 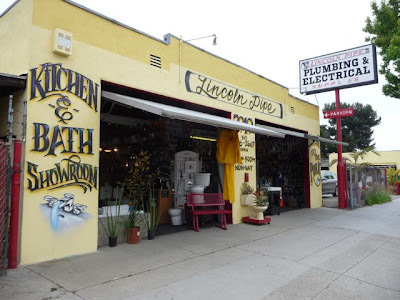 "Kitchen & Bath Showroom"? Really? Have to catch it on the way back. 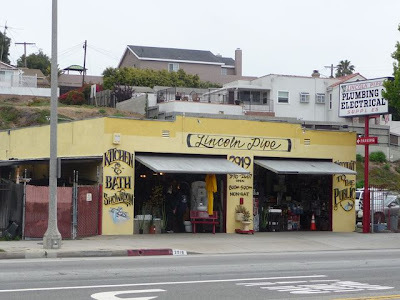 Lincoln is a (or the) major north-south commercial boulevard through Santa Monica. 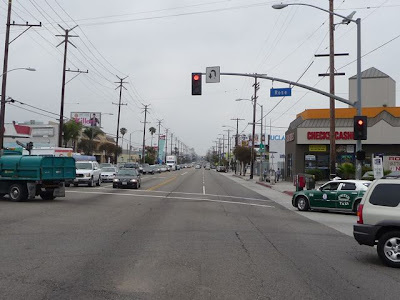 It starts in a high end residential neighborhood "north of Montana" - in north Santa Monica, and continues on into the Los Angeles community of Venice. 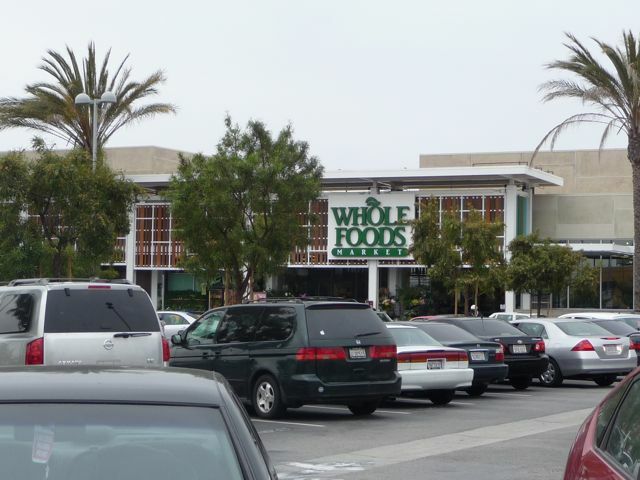 "Whole Foods" = "whole paycheck". Nice place, a really pricey grocery store. I remember when this was a "Pic & Save" (seriously). 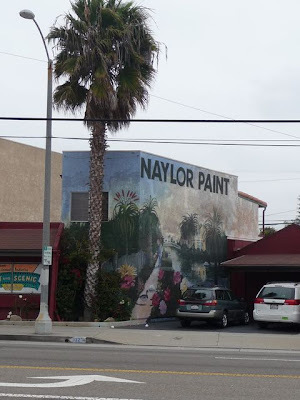 'Naylor Paint" across the street. 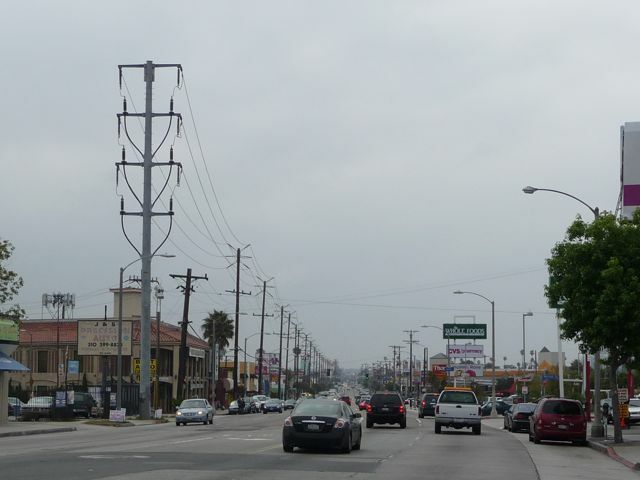 Los Angeles County consists of 88 separate, independent cities - many of which are up against one another. Santa Monica ends at Rose Avenue, and the Los Angeles community of Venice starts. 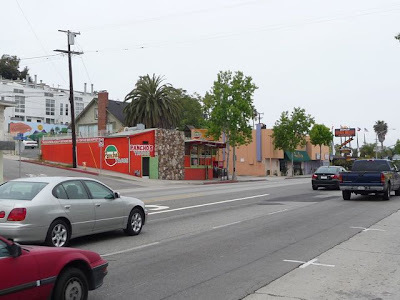 Here's a link to Lincoln Blvd in Venice. At Rose Avenue I crossed Lincoln and headed back north. Lincoln Blvd through Santa Monica and Venice also "California Highway 1" - the Pacific Coast Highway. Um . . . where's the coast? Where's the highway? 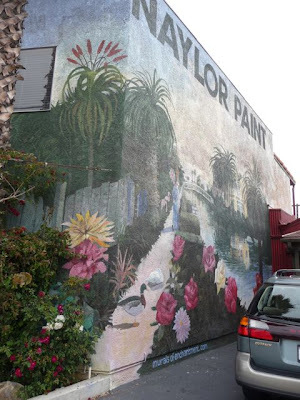 "Naylor Paint" closer up. I really like the mural. The huge power lines that are up and down Lincoln Blvd in Venice (in the City of Los Angeles) -- are conveniently placed underground in the City of Santa Monica. Makes a huge difference in the look and feel of the street. 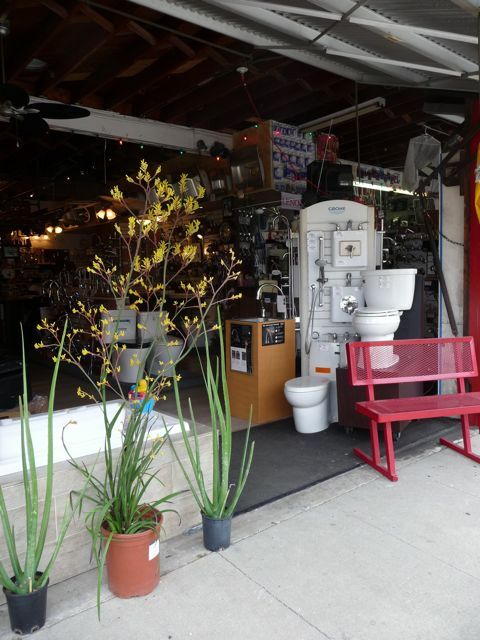 Hey, it really is a "showroom" after all - right on the street. Tired of those "big box" stores? Then Lincoln Pipe (and pretty much the rest of Santa Monica) is for you. They have a play place - so (guess what?) I've been here with my kids. Many, many times. 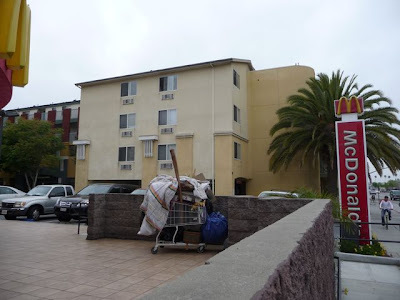 Yeah, and there's some homeless guy's stuff in a shopping cart out front. You get both in Santa Monica. More on Lincoln Blvd in Part II. 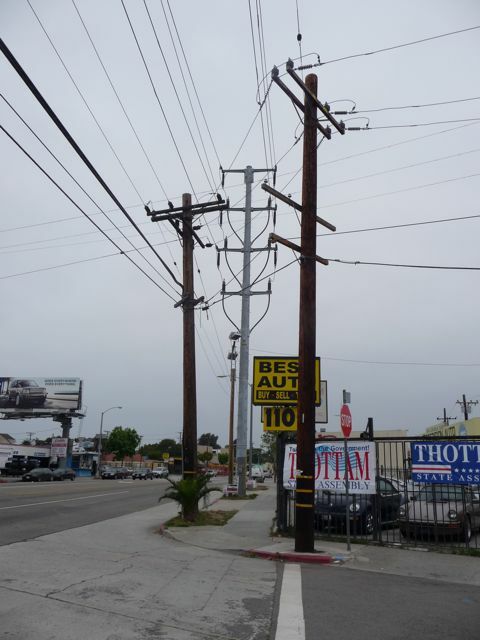 wow, you make even the ho-hum parts of L.A. look good.